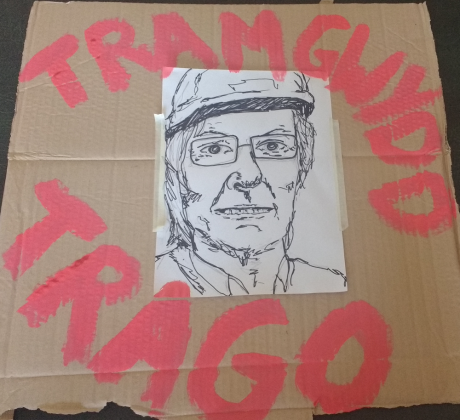 Language campaigners have accused the Labour party of defending companies like Trago Mills with plans for weak language laws, ahead of a protest in Merthyr Tudful today (11am, Saturday, 7th July). In the Senedd in Cardiff this week, Language Minister Eluned Morgan, who’s a member of the Labour Party, said it is “important that we underline the importance of this company. There are a lot of jobs here in an area that needs jobs, so I actually wouldn't support those calls for people to be suspending their use of the shopping centre." "It's clear that the only way to defend people from attacks like this is to have strong legislation which supports Welsh language rights. The Labour Party refuses to defend us against these big, prejudiced businesses, which is a surprise and deep disappointment to many people. Indeed, they are intent on weakening our language rights; the Minister wants to legislate in order to protect companies like Trago Mills from having to provide full Welsh language services."